Starting a handyman business can be easy and profitable. But it is not without its difficulties. 1. Hard to find clients for the business. When you are just starting the business, it is tough to find clients for your business. You don’t have a track record, no referrals, and no testimonials to show clients. One way to overcome this problem is to do work for friends and acquaintances, and then ask them if they could vouch for the quality of your work. The tough economy has also made it harder to find clients. With most households experiencing money crunch, property owners just do the work themselves instead of hiring a handyman. This results in a decreased pool of potential clients. 2. Clients do not pay. You do the work at the quality and cost you guaranteed to the client. But you may find that some clients will not pay you even after the completion of the job. It is important to set clear payment terms with the client. Some handyman services require a deposit, while others collect payment only after the completion of the project. However, if you will be doing jobs that will take longer than 2 days, charge 50% or less before you begin work. Also consider charging a fee for cancellation or rescheduling of the job, if the notice is provided with less than 24 hours. When you start your handyman business, you may find that you have too much work, whether on the job site or running and managing the business. You may find yourself working all the time with no time for rest, for family and for yourself. It is even harder if you are doing the business only part-time, and you have your full-time work on top of everything. Difficult clients are tricky and painful for a handyman. Alas, these “clients from hell” are out there. You may find clients who will never be satisfied — despite doing the jobs to them best of your ability. Some clients will demand never-ending change order, constantly changing their minds as to the job they want done. Others will try to get something from nothing, and will try to get you to work for free, or at a fraction of your pay. With a lot of competitors, you may find that you are not able to win contracts because other contractors are low balling their bids to levels that you do not find profitable. Or bigger contractors are bidding or soliciting the small jobs that handyman often do because of tight economy. You may have specialized skills but a competitor may be so well-entrenched in that market that trying to penetrate it and get some customers is next to impossible. 6. Difficulty of working on the business and growing it at the same time. The important tasks of servicing clients and trying to grow the business are hard to accomplish simultaneously. This is especially true for a one-person business. The common conundrum of a small handyman business is: to earn, you need to do the jobs, but you first need to find that job. Marketing and doing the actual handyman work are important tasks that you need to find time to do. You can set a schedule for your jobs, say work for the clients from 10 a.m. to 5 p.m., and then dedicate early mornings and evenings for marketing. There will be instances when you will need help to get the bigger jobs or just fulfill all your contracts. However, there is the cost and difficulty of finding the right people. You may use day laborers as a quick stop-gap solution, but there will be serious concerns in terms of the level of skills of these people, attitude and even their legal presence in the country. 8. Increasing cost of materials. The rising costs of materials can squeeze your bottom line. You need to clarify with your customer as to who will provide the material. If you will provide the material, be upfront to the customer as to the cost of the material. It is important to agree what materials will be used for the job, and how much these materials cost. In addition to the increasing cost of materials, there is sometimes the problem of delayed delivery of materials due to material shortages. With no materials, you can find the entire project delayed resulting in loss revenue and added overhead costs to your operations. While there is good money in the handyman business, the nature of doing a handful of small jobs every day could lead to billing problems. As much as possible, collect the full payment before you leave. Avoid receivables and collecting payments — not only it is time consuming, but affects your bottom line. 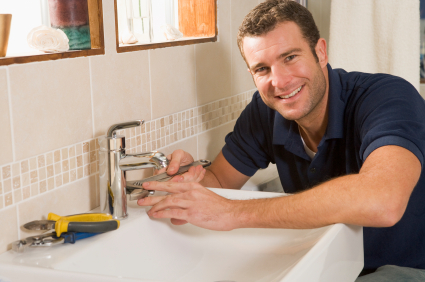 As a handyman, you will be called on to perform odd jobs in a variety of the trade fields including plumbing, carpentry, roofing, electrical, painting, and concrete work. You need a broad range of work and safety skills to get the job done. Be sure that you have the right tools and materials for the job. Be sure that you understand what needs to be done including safety precautions. Regularly check your tools and materials to make sure that they work properly. Use protective equipment and read manuals thoroughly. 11. Costs overruns and scope creep of the project. You may find clients who keep changing their minds resulting in variety of changes that soon affects the cost and duration of the contract. Or you can have clients that will say, “Since handyman is in the house, might as well have him do this and do that while he’s here …” Having clients dump on additional work on you is not necessarily a bad thing — unless it affects the schedule of your work with other clients and projects, or that the client may soon balk at the growing tab and refuse to pay you. Some projects are also natural built-in for scope creeps. For example, when you change the drywall of the house, you may find some damages inside the walls that need to be repaired. 12. Work is over your head. The client may want you to do something that you may not have the necessary skills or expertise. In an effort to please the client, you may force yourself to do some work that you’re not fully confident resulting in sub-par quality compared to your normal outputs. Thank you for having the time to discuss this topic. I truly appreciate it. I’ll stick a link of this entry in my website.